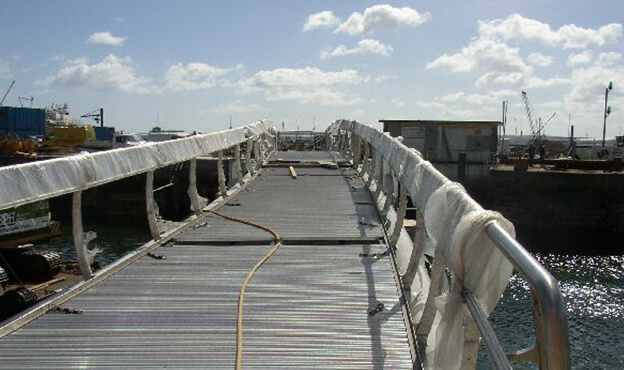 Spencer Group were awarded a contract by Torbay Council to construct a double bascule footbridge across the harbour. The footbridge featured land mark ‘blades of light’ towers with iconic feature lighting and was part of a £21m regeneration project of Torquay’s Waterfront. The contract involved the construction of impounding cill and tide operated gates across the harbour entrance to ensure the required depth of water is maintained at all tide stages to prevent moored vessels from grounding. The 50m span double bascule lifting bridge provided a pedestrian access across the harbour and created a natural promenade route for visitors. The project formed part of a £21 million regeneration of Torquay’s Waterfront which was completed for the summer season 2003. 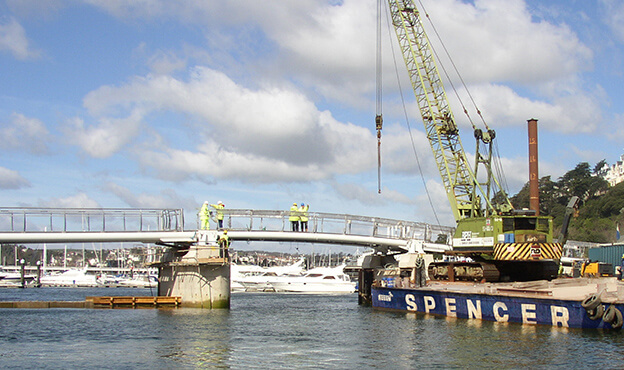 A collaborative approach to works between the Spencer Group team and Torbay Council was fundamental in the successful completion of this project. The 30-week construction of this iconic structure on the Torbay Harbour was both on time and on budget. 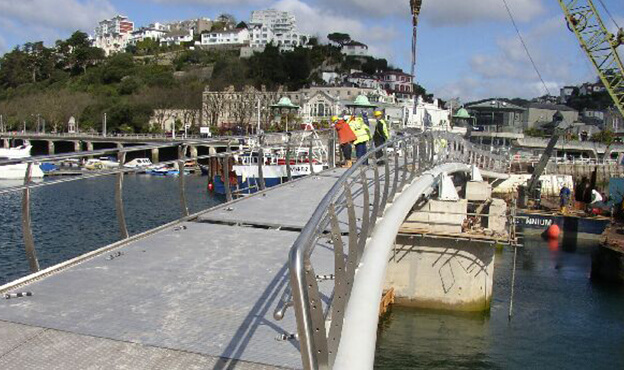 Acting as part of the wider Torquay Harbour regeneration project, this footbridge is still used today and is a key access route across the harbour.